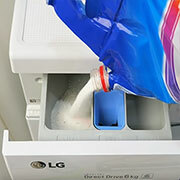 Recycle a plastic bottle into a no-mess pour nozzle and forget about cleaning up. 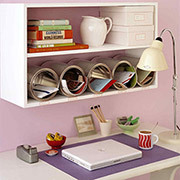 Recycle plastic shampoo or cleaning bottles to make this handy organiser for your home office, craft or hobby room. 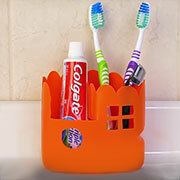 Here's a fun way to recycle plastic bottles to make attractive storage caddies for a bathroom. 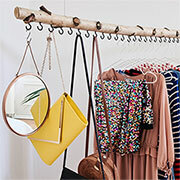 Make a stylish clothing rail using a tree branch to hang all your clothes and add a unique touch to your bedroom or dressing room. 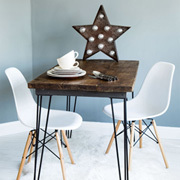 Upcycling, particularly if you have found a secondhand bargain, is a great way to add new pieces of furniture to your home. Quick Project: Upcycle a Pine Dresser with Paint and Paper! Do you have a pine dresser or chest of drawers at home in desperate need of a makeover? 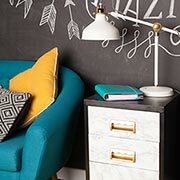 Try this paint and paper method and completely transform a plain piece of furniture! I'm all for recycling in any way that I can and enjoy projects using cardboard boxes, like this cardboard box turned into a handy beauty product holder. This quick and easy 10-minute project shows how to make a nail polish carousel using a fidget spinner and a few items you probably already have. While sorting out my current kitchen storage, I came across some plastic crates that I want to recycle and found some great ideas for recycling plastic crates. Christmas is done and dusted, so here are some projects to make use of all those left over cardboard boxes. 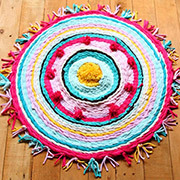 Grab some colourful wool and give your tired bathmat a fluffy, luxurious makeover! 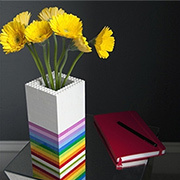 These decorative cardboard vases are easy to make and will add colour and interest to a windowsill or shelf. 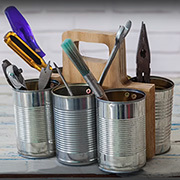 This handy tool caddy is made using food cans and a scrap of plywood and we show you how easy it is to make your own. 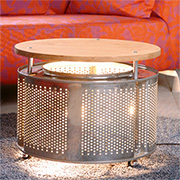 If you're replacing your old washing machine we show you a way to turn a stainless steel drum into a luminous coffee table. 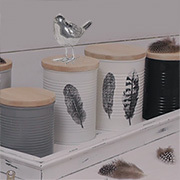 In this article we show you how to upcycle aluminium tins into attractive storage containers. 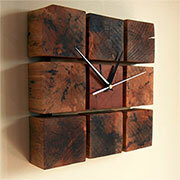 This gorgeous, rustic wall clock is made using blocks of wood cut from reclaimed pallets. That means it doesn't cost anything to make apart from the mechanism and hands. If you have clothes dry cleaned, chances are you have a collection of wire coat hangers. 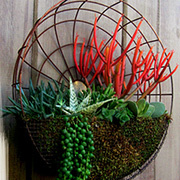 We found some great ways to upcycle wire coat hangers. 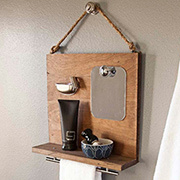 Here's a quick and easy project to repurpose an old door into a practical shelf unit. 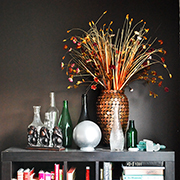 Tame your storage with glass jars! Recycling glass containers and jars for storage is still a wonderful way to keep your kitchen, bathroom and home office neat and organised. Anyone who has a fan knows they don't last long these days - so turn that broken fan into a colourful planter for your patio or balcony. 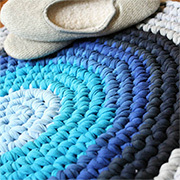 Rag rugs are fun to make and you can use old clothes to weave your own colourful rag rug for the home. 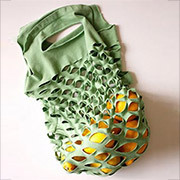 Before you toss out any old t-shirts, take a look at some great ideas to repurpose old t-shirts. Every year we throw away clothes and textiles that could be used in other ways. In fact, there are now companies that recycle old clothes into fashionable items for the home. 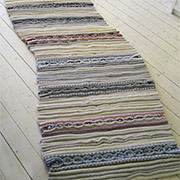 Designed for show at the Milan Furniture Fair, this rag rug is made from old clothes. 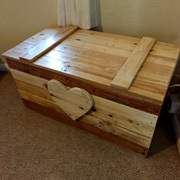 When you get given a piece of furniture, or find a decent bargain, it's nice to know that you can repurpose or upcycle the piece to make it more relevant to your home. 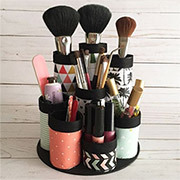 Kitchen towels, wrapping paper, or anything else on a cardboard tube - use the tubes to make a makeup holder. 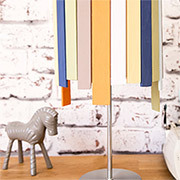 In this project we show you how easy it can be to upcycle a cheap lamp into your own quirky creation. We're using acrylic craft paint for the scrap wood battens for our upcycled lamp. Here's a way to keep a desktop neat and tidy, and to recycle aluminium coffee cans - turn them into practical storage for a desk shelf. Making this reclaimed pallet coffee table has to be the easiest project ever and should only take about 15-minutes. 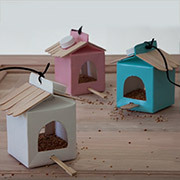 Recycle yoghurt cartons into a cute, colourful bird feeder to hang on tree branches. 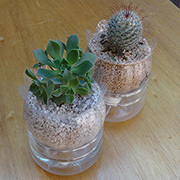 Make your own wooden lids for when recycling glass jars and containers, or anything else that needs an attractive lid. There's always some leftover wrapping paper after the holiday season, so here's how to use leftover wrapping paper to make party decorations for your New Year celebrations. Using the French Tufting method and a wooden pallet, you can easily make a comfortable chair for a casual indoor or outdoor space, and it's ideal for a children's bedroom or playroom. 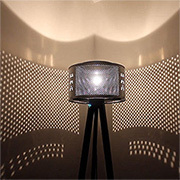 If you enjoy being creative with items that normally get thrown out, you'll love this lamp made using the drum from a washing machine. As winter slowly draws to a close, before you toss out those holey woollens, take a look at how you can repurpose or reuse them. 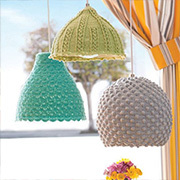 Once again trending, macramé has taken a new twist (excuse the pun!) and you can use t-shirt yarn or plarn to make macramé hangers. 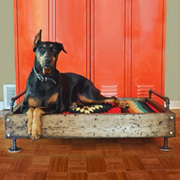 If you've got some pallet wood - make this easy dog bed with galvanised pipe fittings. 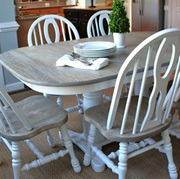 If you love taking something old and turning it into a beautiful, practical piece of furniture, then this reclaimed wood dining table is a project you will enjoy. 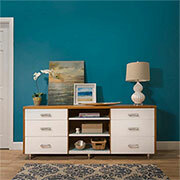 Secondhand furniture is a great way to start off if you're moving into your first apartment or flat. 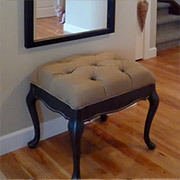 You'd be surprised at how easily you can transform these fabulous finds into furniture for a home. 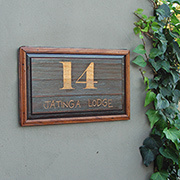 Using pallet wood is a great way to practice your skills without spending a fortune on timber. 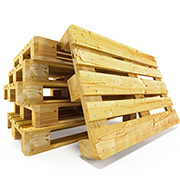 Ask around, or browse the Internet, for local suppliers of pallets. 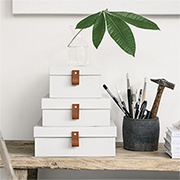 Here's a way to buy a secondhand, steel filing cabinet and put this stylish storage unit to good use in your home office, or even for storage in the home. 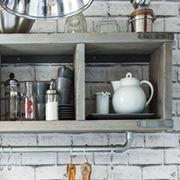 Use reclaimed pallets or scaffolding planks to make a stylish industrial shelf. 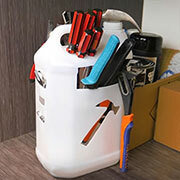 A few years back I featured an article on recycling oil drums into cabinets. Now, there are so many additional options to recycle old oil drums. 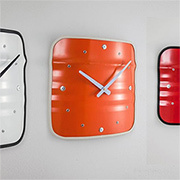 Use the plastic tops from cold drinks and food containers to make a unique timepiece for your home. 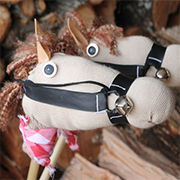 This is a great craft idea for the kids too! 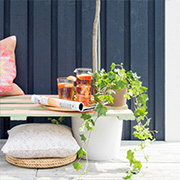 Use reclaimed wood pallets to make this stylish garden bench in an hour or two, and provide easy and inexpensive seating for a garden or entertainment area. Reclaimed wood pallets provide an inexpensive DIY option for festive decor. 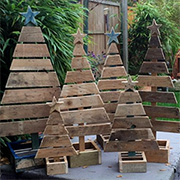 Make wood pallet Christmas trees or Christmas card displays. When cutting timber or board to size, you usually end up with assorted offcuts. 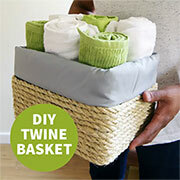 We put together a collection of creative ways to use offcuts for quick and easy DIY projects for a home. 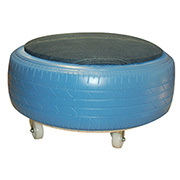 We will be making this tyre ottoman as part of our December DIY Kids workshop. 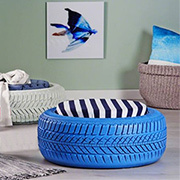 Using an old tyre, and recycling a pair of jeans for the fabric, this fun ottoman offers the perfect seating for a kid's bedroom or playroom. 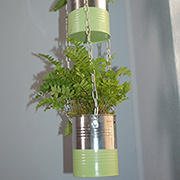 This weekend I was looking for ideas for using aluminium cans that I collected. 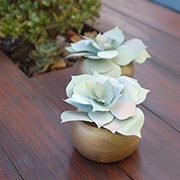 The final result was to make these recycled aluminium can succulents. 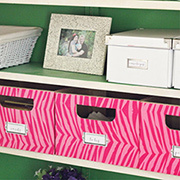 Don't toss out those shoeboxes, use them to make attractive storage boxes for your home office or craft room. 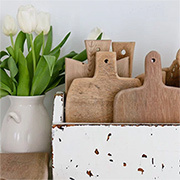 This beautiful, vintage cutting board can be made from reclaimed wood, hardwood offcuts, or pine from your local Builders. 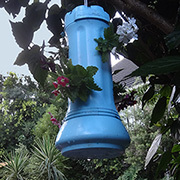 I like to recycle plastic as much as possible, and love this idea for using plastic cold drink bottles to make a bird feeder for the local bird life. Builders have a great idea for using those old, worn out tyres, which have been sitting in your garage for ages. Using a few, easy steps, a couple of old tyres, supawood offcuts and some castors, you can build your very own braai storage unit. 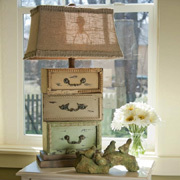 Recycle old blinds into lighting and furniture for a home. 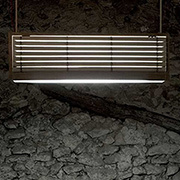 Before you toss out those old aluminium, vertical, bamboo or wood blinds, take a look at ways to recycle these into unique light fittings and furniture for a home. It is becoming increasingly easy to refinish furniture, no matter how banged up and scratched it is. 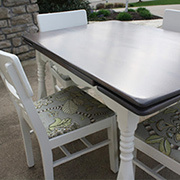 Pieces that look almost beyond repair can be given a new lease on life using a variety of products that you will find at your local Builders Warehouse. When working with reclaimed timber pallets you have to not only inspect and select the right pallets, you have to exercise caution when breaking these down. Here are some tips to keep you safe and make the job easier. There was a time when play was simple. Children had hours of fun playing with nothing more than a cardboard box. 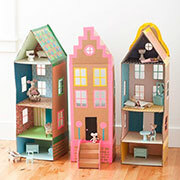 We put together some creative ways to encourage kids to use their imagination with just a couple of cardboard boxes. Have fun! If you are doing any painting projects this year, here's a great way to recycle plastic paint containers into comfortable stools. 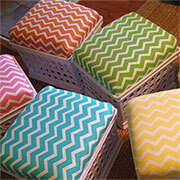 I made stools for outdoors, but you can make them for any room and particularly for a child's bedroom or playroom. When you work in an office there are guaranteed to be plenty of plastic pens tossed out. 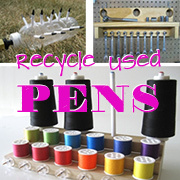 Here are some unique ways to recycle old pens into very useful items. 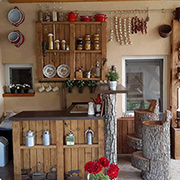 Got some wood left over from a previous project? 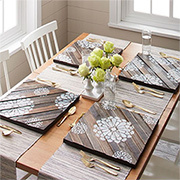 Use scrap wood into decorative placemats for your dining table. We braved the chill and had a braai this weekend. While carting herbs and spices around I realised I could make a holder using reclaimed pallet scraps. 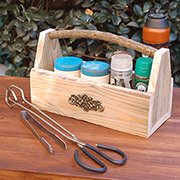 You can use this reclaimed wood holder for herbs and spices, for serviettes, or anything else you can think of. 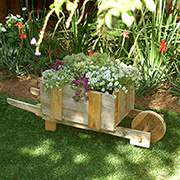 Following on from the article on working with pallets, we used a reclaimed pallet to make a rustic wheelbarrow that can be planted up with colourful annuals, or filled with herbs and veggies for a small kitchen garden. 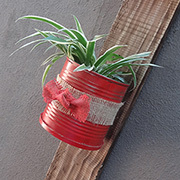 Here's a way to repurpose aluminium cans into an attractive plant holder to add a touch of greenery to any room in a home. One of my neighbours had their garage door replaced. The workmen were tossing out the old door, which was made of Meranti. I couldn't see all the wood going to waste, so I asked for some of the panels to use for projects. 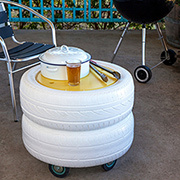 Put old tyres to good use as seating for a home. 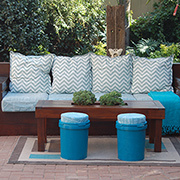 With a few tools, supplies and some DIY savvy you can transform disused tyres into extraordinary high-profile seating. Painted in vibrant colours, these original seats create a unique effect in an apartment or on a balcony. 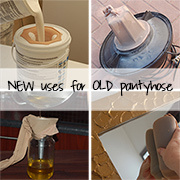 I am unfortunately one of those people who attracts ladders in my pantyhose, so looking for new ways to use old pantyhose was a great idea. Get friendly with your local supermarket and recycle corrugated cardboard boxes into practical storage boxes and containers for your home. If the kids have grown out of playing with their Lego blocks, here are just a few of the crafty ways to use Lego blocks for home projects. If, like me, you enjoy browsing secondhand stores you'll know that you can pick up lampshades for practically nothing. 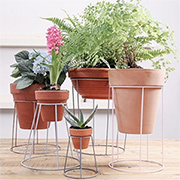 This project shows how to use old lampshade wire frames to make trendy plant stands. 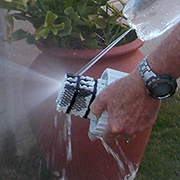 There are times when a high pressure washer - even a small one - comes in handy. We show you how to make a homemade pressure washer. Ideas for using pallets go around and around, but it's nice to come across new and unique ways to use reclaimed pallets for projects in and around the home. 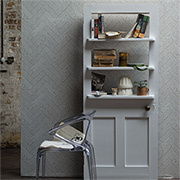 Using reclaimed or pallets is still trending and in this article you will find out how easy it is to add your own stencil wording to whitewashed planks. 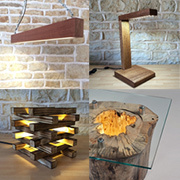 We offer a selection of handmade wooden lamps and lights that you can make as a weekend project using basic tools and materials you can find at your nearest Builders, or source locally. Riddling racks were used for aiding the fermenting process when making champagne. The simple design for a riddling rack makes them ideal as wine racks, and you can easily make your own riddling rack. 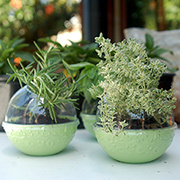 I have become a fan of KFC's kream balls and the plastic containers can easily be upcycled into plant holders for small herbs or succulents. 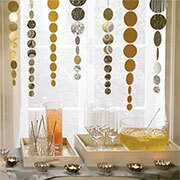 Recycle glass wine bottles into glasses and chandeliers by making your own wine bottle cutter. 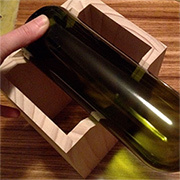 This solid wine bottle cutter can be made using a few supplies available at your local Builders. 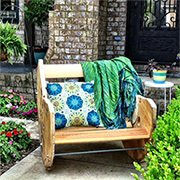 Here's a fun and practical way to combine reclaimed wood and concrete. 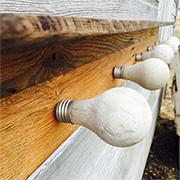 Use incandescent light bulbs to cast concrete knobs for a handy coat rack. The idea behind Divinus was to design a product made using everyday waste material that would allow the user to take part in its construction, and invite them to simply and creatively experience the concepts of sustainability. 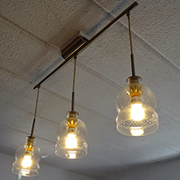 I love featuring projects that upcycle plastic waste in new ways and this project shows how I turned a plastic paint container into a colourful, trendy pendant lamp. 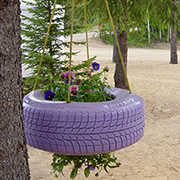 There are so many ways to upcycle tyres in fun and practical ways. In this article we look at recycling tyres for the garden, whether using tyres for planters or furniture. 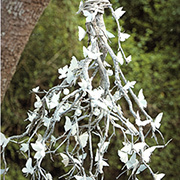 Authors Angie Franke and Monique Day-Wilde show you how to upcycle plastic milk containers into a wonderful outdoor ornament filled with white butterflies. 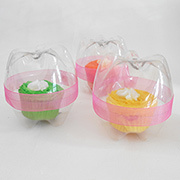 Use 2 litre coke, diet coke or coke zero plastic bottles and turn them into cupcake holders. When cut properly the containers are airtight and can be sealed with a strip of ribbon. Mom and kids can spend some quality time crafting these cute pencil and pen holders, and re-purpose plastic bottles at the same time. 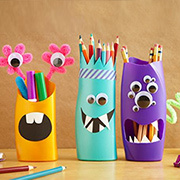 They’re easy to make and you can design your own monsters and then fill them with pencils and crayons. 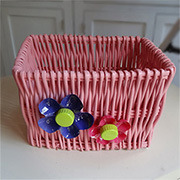 I am revisiting a previous project using plastic cold drink bottles as party favour containers. In this project they are sprayed in vibrant colours with Rust-Oleum 2X spray paint. 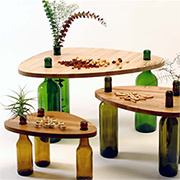 Cardboard furniture hovers on the fringe of design, but recycled cardboard furniture is definitely popular. 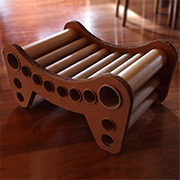 This cardboard seat or stool is made using recycled cardboard boxes and tubes. 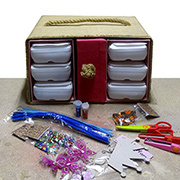 Made using recycled plastic milk containers and cardboard boxes, this craft centre has plenty of storage compartments for all your craft supplies and is easily carried around. colourful to your dining table. 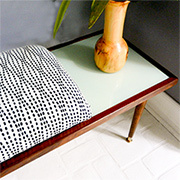 If you like browsing for secondhand bargains, here's how to turn an old coffee table into a stylish bench that can be upholstered in your choice of fabric. 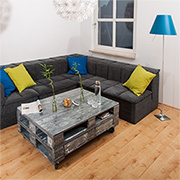 Use reclaimed pallets or wood to make up a stylish coffee table, stained and painted to match your decor. Fit caster wheels and you have a mobile coffee table. Quite a few smaller tools comes in tins these days, and it seems a waste to throw these away. I turned my empty Bosch Tacker tin into a handy tool kit. This kitty tent is made using an old (or new) t-shirt, a couple of coat hangers and a few inexpensive supplies. 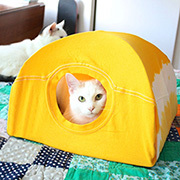 You can make in an hour tops and use colourful or printed t-shirts for a custom kitty tent design. 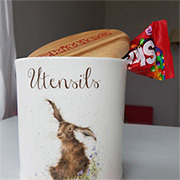 Have a little fun with Rust-Oleum 2X UltraCover spray paint and turn plain white baskets into colourful storage containers for a child's bedroom. After collecting a few coffee cans I made up a plant holder for outside the front door. Since the front door is red I painted the cans with Rust-Oleum 2X satin poppy red to match the door. 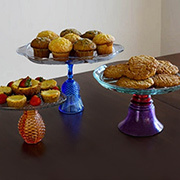 You can use glass stain to dress up inexpensive glassware or recycle glass food jars into colourful containers. 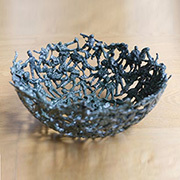 After making a figurine lamp using a few broken action figures, here's another way to re-purpose old toys in new ways - to make a fun bowl. 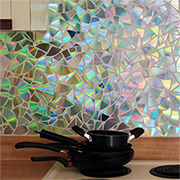 If you still have some old CDs lying around, here's a unique way to use these to create a shimmering bathroom or kitchen backsplash. 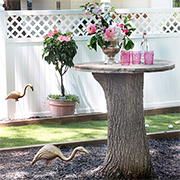 I love the idea of using a plywood or pine cable spool and turning this into furniture for a deck, garden or patio. 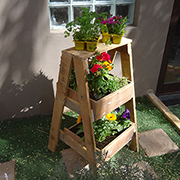 At a cost of around R350, it's an affordable and fun way to make your own outdoor furniture. You know me... I don't like to throw anything away until I have exhausted all my ideas for recycling or re-purposing. 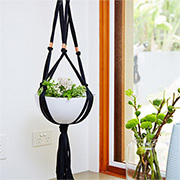 This time it's a way to recycle plastic pool chlorine floaters into hanging plant holders. 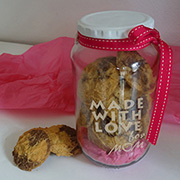 Coming up with ideas for Mother's Day is a good excuse to take out my Dremel Micro to engrave on glass and turn a recycled glass food jar into a gift filled with home-baked cookies. 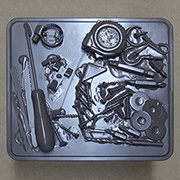 Dremel asked me to come up with a project idea for Mother's Day using the Dremel Micro Multitool. 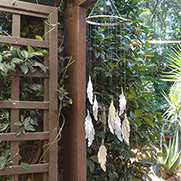 This wind chime has delicate feathers cut from an old aluminium coffee can using the Dremel Micro Multitool and accessories included as part of the complete kit. This weekend it was time to shop for clothes for the cooler weather. It was also time to sort out my drawers to make space for new clothes, which brought to mind a fun way to re-purpose old t-shirts into rugs for the home. 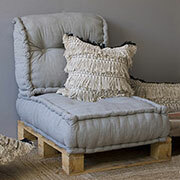 Re-purpose an old and worn beanbag into a practical pouff finishing in the fabric of your choice. 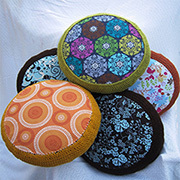 From a single beanbag you can easily make 4 to 5 comfortable pouffs for the home. Recycling is still not a countrywide priority and in my area I prefer to recycle or upcycle as much household waste as possible. 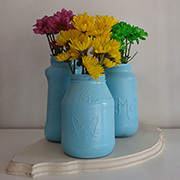 For this project I recycled glass food jars into colourful vases with Rust-Oleum 2X spray paint. 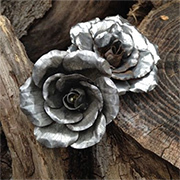 Turn aluminium cans into beautiful everlasting roses. 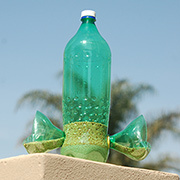 This is a fun and creative way to recycle aluminium cans into something different. 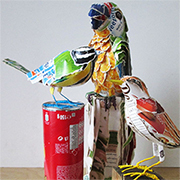 If you're looking for something different to relieve your stress, what about combining recycling and crafts by making these beautiful birds from cardboard boxes. 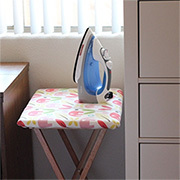 This handy ironing table is made using from a fold-up table and perfect when you need to iron in a cramped space. 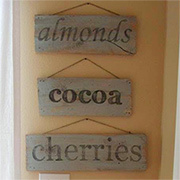 Great for a small craft room, or to have close at hand when doing sewing projects. 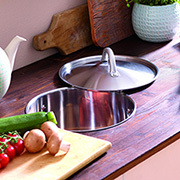 Here's an easy way to keep your kitchen countertops clean by recycling an old saucepan or pot into a organic waste bin. 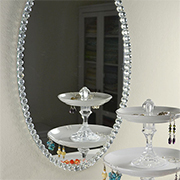 Don't throw out an old, scratched mirror when you can touch it up with Rust-Oleum Mirror Effect spray and then add a dash of glam with glass mosaic pebbles. 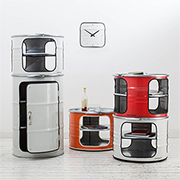 German designers Lockengeloet have taken the idea of recycling oil barrels to a new level, with a range of oil barrels that can be used as a storage cabinet, a mini bar, and even a media centre. Recycling is a trend that is more than a passing fad. 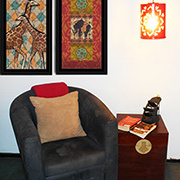 Around the world people are looking at ways to re-purpose and re-use household items to create recycled home decor that is beautiful and practical. Using a tree feller can cost anywhere from R2000 - and that's just to cut the tree down. That means you are left with a stump, unless you plan on digging up the entire garden to remove the stump and its roots. 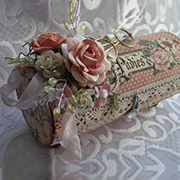 Recycle a pringles container into a decorative gift box that can be embellished for any occasion. 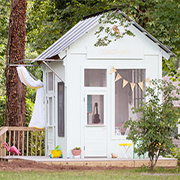 Having just demolished my old garden shed to make way for a veggie garden, this project that turns an old shed or garden hut into a children's playhouse struck me as a wonderful way to re-purpose a hut or shed rather than throw away. 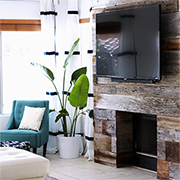 I'm sure there are many homeowners out there who will appreciate this feature showing ideas on how to clad a fireplace with reclaimed wood. There are more than a few dated and old fashioned fireplaces that could do with covering up, and why not make use of reclaimed wood. 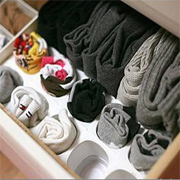 Here are some fun ideas for re-purposing woolens and socks. I know I always end up with more than a few mismatched socks and kids very quickly grow out of their winter woollies. 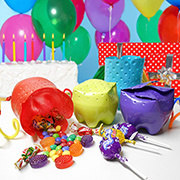 Rather than throw these away, try your hand at one or two of these fun projects. 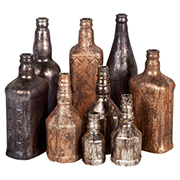 Glass bottles are one of my favourite and I have a cupboard full of bottles, containers and jars waiting to become projects. This time I dug out some old tequila bottles that have been lying around for 20 odd years! Having recently relocated all my spices into my new spice rack I needed salt and pepper shakers for the countertop. 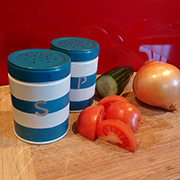 My kitchen has red accents and the dining room teal, so I recycled baking powder tins into large salt and pepper shakers. 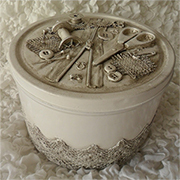 Turn a plain biscuit tin into a wonderful decor accessory or sewing kit using a few bits from your sewing box. This simple project shows how easily you can transform everyday items that would normally be thrown away into something useful. 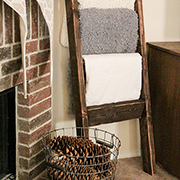 This ladder towel rack is a quick and very easy project to make and I have added some tips and tricks for finishing the reclaimed wood towel ladder at the bottom. 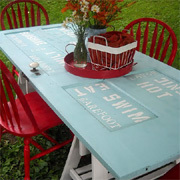 There are plenty of ways to use a reclaimed wood pallet for furniture. 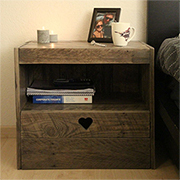 In this project you can make a couple of bedside cabinets using a wood pallet - or you can pop into your local Builders Warehouse and grab some PAR pine to make one. I still have a few pieces of reclaimed wood leftover from some pallets an, I thought it might be nice to make a herb of plant stand using the leftover bits of reclaimed wood and some old drawers that I have been wanting to use. 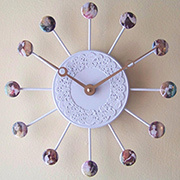 Home decor that costs you cents! The other day I was cleaning out old drawers and stumbled upon a jar of one and two cent pieces... remember those! Since this old currency is now useless, I didn't want to throw it away but had no idea what to do with it. There are still many areas around the country that haven't yet implemented recycling procedures for household waste. 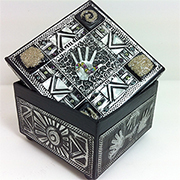 This project shows how you can use aluminium cans to make trinket boxes, decorative walls tiles and other items that cost nothing and look great. 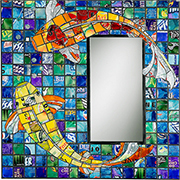 Artist Jill Helms creates the most beautiful mosaic pieces using bits and pieces of aluminium cans that she collection. 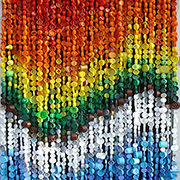 Lots of tiny pieces of aluminum cans are scattered about her studio workspace when creating a new piece of mosaic art. 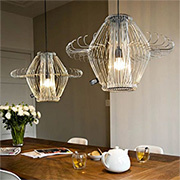 After breaking a glass shade on my kitchen pendant, trying to find a replacement shade proved impossible. Time to take a look through my collection of plastic bottles to see if I can come up with an alternative to recycle plastic bottles into replacement lampshades! 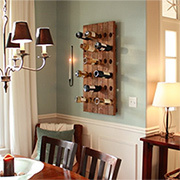 Reclaimed wood wine rack for two! This wine rack for two is perfect for those that only drink the occasional bottle of wine. 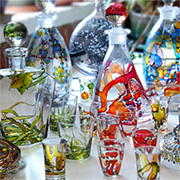 It's also a great project to make if you are looking for gift ideas. 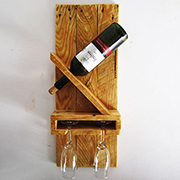 Made using reclaimed wood, the wine rack accommodates one bottle of wine and two glasses, and takes up very little space. Winter is almost upon us and I thought this might be a nice time to put some reclaimed wood pallets to good use. 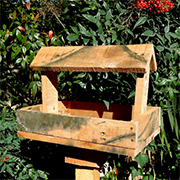 Making a bird feeder using reclaimed wood pallets seems like a good idea and I will be able to feed our local wildlife at the same time! 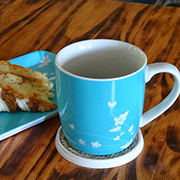 Having just completed an easy DIY project for making coasters and place mats using jute or rope, I still had some rope left over and decided to use this in another way. 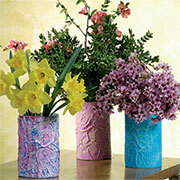 Upcycle the lids from plastic tubs or containers into coasters - just another easy way to recycle plastic in a home. With so much emphasis being placed on recycling and repurposing old stuff into practical piece, what some may throw away as junk might be just what you are looking for! 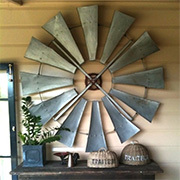 Turning one man's junk into treasured pieces for a home is fun and you get to create one-of-a-kind decor. If you have an old dresser or chest of drawers that is no longer of any practical value, perhaps it is made out of veneered chipboard or is beyond repair, you will probably find that the drawers can still come in useful. Ideas for using an old door... or two! 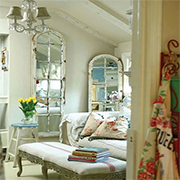 When changing the doors in a home it seems such a waste to throw them away. Secondhand stores, antique shops and salvage yards, as well as online auctions and classifieds are full of wonderful old doors that can be given a new life in so many different ways. 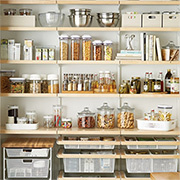 Use yoghurt cups to make drawer dividers, craft and hobby storage containers, makeup or jewellery organisers. All you need is a tray of yoghurt cups, a glue gun and a can of Rust-Oleum 2X spray paint to make nifty organisers that you can use for storage. Ha! I knew that old pile of CDs would come in handy one day. 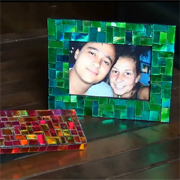 Use CDs and glass paint to make colourful mosaic picture frames, or decorate plain boxes with a mosaic pattern. Dig out your old CDs and get crafting this weekend.